Cruise down any avenue in Baltimore and you will inevitably run across a scene like the one above. These solitary townhomes are sometimes all that remain of formerly vibrant neighborhoods. According to the Census Bureau, in 2010 one in nine housing units in Baltimore lay vacant. The city has aggressively razed abandoned properties to remove fire and health hazards, but the result is a street that looks empty and forgotten. The row house is an unlikely Baltimore icon. It’s been depicted on everything from local beer labels to crafty painted window screens, and even abstracted into the background of indie band stage shows. Every house I lived in over the past 11 years was a row home. The icon is engrained into the psyche of nearly every Baltimorean, so it’s no wonder that Ben Marcin began photographing the city’s stand-alone buildings. What sets his photo series apart is his ability to speak about the idiosyncrasies of our city and its social and political climate. 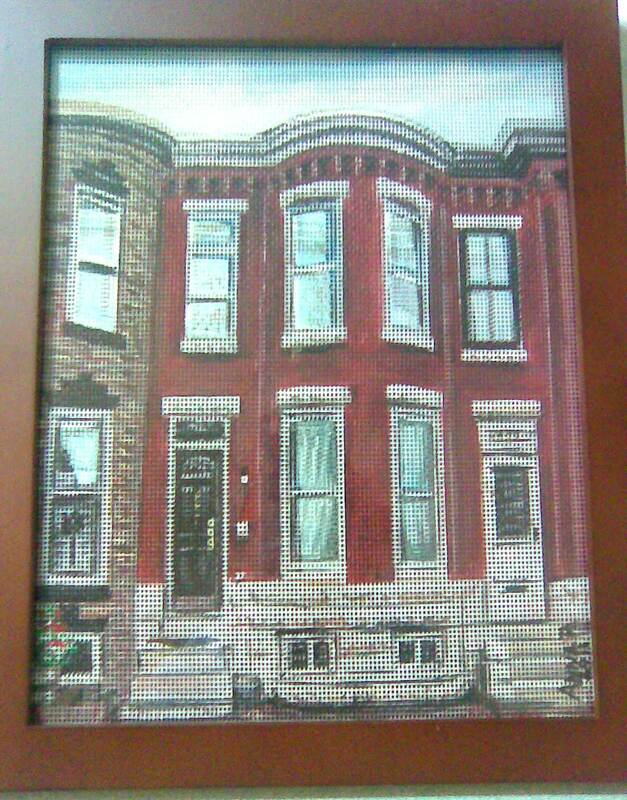 Every photograph in the series shares the same composition: one row house, front and center. In a recent interview with The Atlantic, Marcin discusses what compelled him to photograph these scenes. For me, the series is a reminder that you can use one very small thing to describe one very big problem. This video was created to help promote interest in the remake of the movie, Carrie. We think it’s guerrilla marketing at its best. Enjoy! The launch of Nike’s Better World website in 2011 marked a turning point in the way we see and use the web. The site used parallax scrolling, single page navigation, and eye-catching visuals in a fresh and exciting way. The single page layout engaged the viewer with rich, interactive storytelling and encouraged deeper exploration. Soon, a number of look-alike websites appeared on the scene, all trying to cash in on this cool, new online experience. You may not be familiar with the term parallax, as it’s fairly new to the web, but it’s actually a technique that has been around since the early days of cartoon animation. Simply put, the illusion of depth is created by having one layer move faster or slower than another layer above it. Walt Disney’s Steamboat Willie is an early example. Later, side scrolling video games, like Nintendo’s Megaman, used the technique. Like all things web 2.0, there are some pitfalls to look out for, such as cross-browser compatibility issues and in some cases slower load times. Before using any technique, consider your audience and the purpose of your site. For example, single page navigation would be a nightmare on an entire college website, but an admissions page or fundraising microsite could use the technique amazingly well. This Bay State College online admission’s viewbook is one good example. The parallax trend shows no sign of fading away. With the rise of tablets and other touch screens, it’s no wonder these techniques have been embraced by so many designers. Tommy Edison was born blind, but he hasn’t let that interfere with his ability to socialize with the world online, or for that matter, review movies. The following video demonstrates how Tommy uses Instagram to shoot and post photos for his followers. It’s amazing to see how the web has become more accessible to visually impaired users. Special browsers and screen readers have enabled blind people to navigate the web via audio cues that explain what the webpage or app is displaying. But not all screen readers are user-friendly. Watching this video it’s painfully obvious that not all web developers have caught on. Semantic coding is one way to ensure that content is accessible to everyone because it allows screen readers to correctly dictate the contents of a web page. In this type of coding, HTML mark up is used not for styling, but only for its intended purpose. For example, an <h1> header tag is only used for the most important page headline, and an <em> emphasis tag is only used to provide needed emphasis. In addition to semantic coding, alt properties that describe an image enable users to have a richer, more interactive experience. The American Foundation for the Blind also provides a set of guidelines for the designer/developer concerned with accessibility.